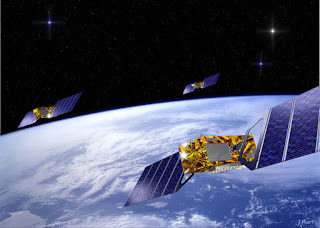 Metawidget is now being used to power a (ground based) Global Navigation Satellite System called GALILEO, built by the European Union and European Space Agency. I've written up a White Paper describing the project and Metawidget's role in it. The team are using Metawidget's pluggable inspection architecture to enable them to reuse the detailed XML Schemas set up for transmission to/from the satellites, and generate a UI without having to respecify anything. They're also using Metawidget's pluggable widget processors to incorporate third-party validation libraries. My thanks to the team for providing screenshots and details of their architecture!